Now the final, perhaps most fundamental, narrative risks unravelling. The supremacy of liberal democracy is rooted in the triumph of 1989: the liberation of Central Europe from the Kremlin’s authoritarianism; Václav Havel emerging from prison to become President in Prague Castle; the successful transition to democracy via European Union membership and the security blanket of NATO. The latter process was particularly important for the post-socialist states. Already in the 1990s, the prospect of the EU membership served as an impetus for reform of inefficient economies and dysfunctional political systems. At the same time, NATO provided security guarantees to the new democratising societies in Central and Eastern Europe that witnessed Russian destabilising activities in Moldova and Georgia in 1992—activities that resulted in the infringement of territorial integrity and dramatically hampered democratisation in these post-Soviet states. Orbán’s policies led the NGO Freedom House to downgrade the country’s rating from “free” to “partly free” in its 2012 “Freedom of the Press” index. The Organisation for Security and Co-operation in Europe criticised the 2014 parliamentary elections, arguing Fidesz enjoyed “an undue advantage because of biased media coverage and campaign activities that blurred the separation between political party and the State.” This “undue advantage” didn’t stop Fidesz’s vote declining. 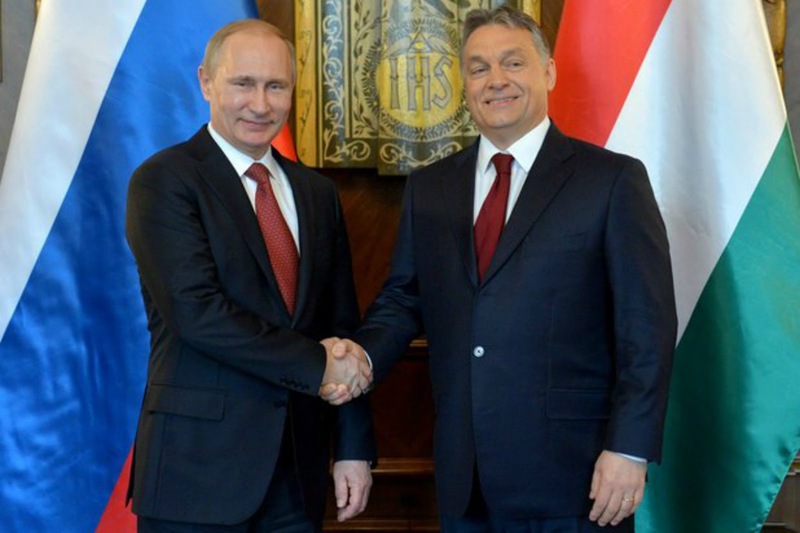 In response, Orbán added ideology to his institutional measures. Speaking at a party gathering in 2014, Orbán announced: “The new state that we are constructing in Hungary is an illiberal state, a non-liberal state. It does not reject the fundamental principles of liberalism such as freedom… but it does not make this ideology the central element of state organisation, but instead includes a different, special, national approach.” Russia and China are two of his models. Poland’s new President Andrzej Duda refused to swear in five judges chosen by the previous parliament on to the 15-member Constitutional Tribunal. Five Law and Justice judges were sworn in instead and the government controversially reformed the court. Law and Justice also nullified civil service regulations that guaranteed competition for key posts, allowing them to appoint loyalists with no qualifications as CEOs of state companies. Media laws have been changed to put party loyalists in control of public broadcasting, prompting senior journalists to resign. The party’s leader Jarosław Kaczyński, a former Prime Minister, has no official government role but wields power behind the scenes. In Slovakia and the Czech Republic the changes are subtler. Political institutions have not been dismantled, but there has been an upswing in xenophobic rhetoric, and oligarchs are capturing politics and media. Robert Fico, Slovakia’s Prime Minister, leads a social democratic party, but his first term (2006-10), saw him ally with Ján Slota’s far-right Slovak National Party. Slota has called Hungarians “a cancer in the body of the Slovak nation” and “ugly, bow-legged, Mongoloid characters on disgusting horses.” Since 2012, Fico’s second term has been marked by tactical resistance to reforms, such as the persistent reluctance to reform the judiciary. Fico simply refuses to talk to independent broadcasters and only communicates via government-friendly station TA3. 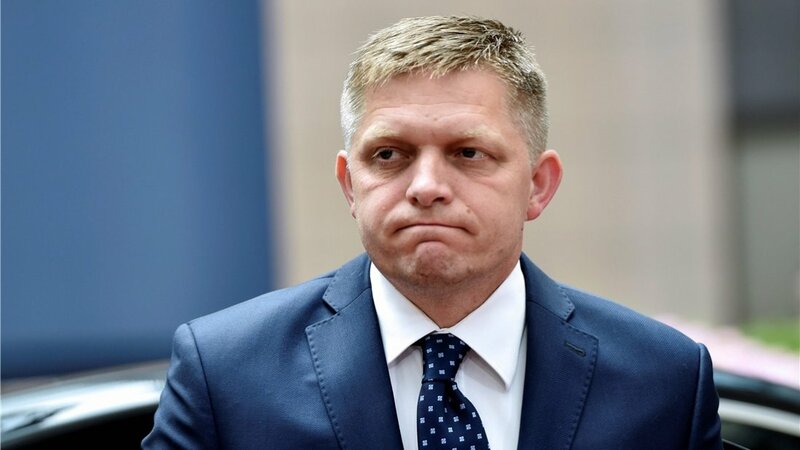 In 2015-16, Fico ran a xenophobic campaign stressing his refusal to accept refugees in Slovakia and, again, formed a coalition with the Slovak National Party, and two the centre right parties, after the parliamentary elections in March 2016. 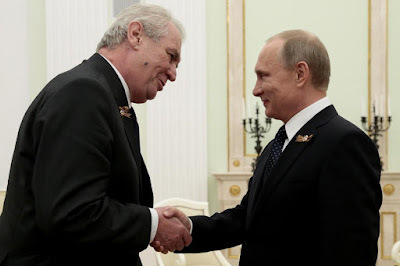 Klaus’s successor, Miloš Zeman, has turned up the nationalist rhetoric. During the 2015 refugee crisis, Zeman said: “Islamic refugees will not respect Czech laws and habits, they will apply sharia law so unfaithful women will be stoned to death and thieves will have their hands cut off.” In November 2015, President Zeman attended an anti-Muslim rally organised by the far-right “Bloc against Islam” group, standing next to its leader, Martin Konvička. 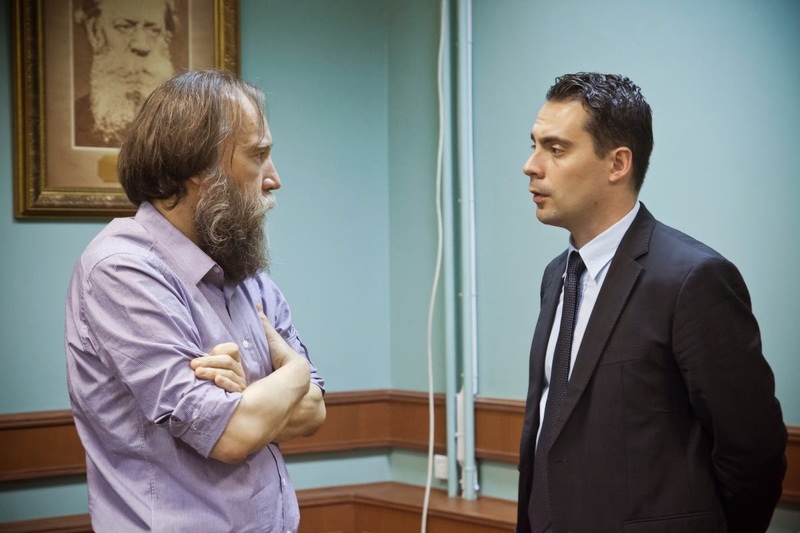 Konvička faces up to three years in prison for inciting hatred against Muslims by, among other things, writing on Facebook that Muslims should be put into concentration camps. A few features of Central Europe, however, are unique. Slovak dissident Milan Šimečka once described life under communism as “that comfortable unfreedom where those in power know how to stop time and maintain stasis.” Illiberalism, then, is merely a reversion to the recent past for these young democracies. The past hangs over the present in other ways. That Orbán was a Soviet dissident, as was Poland’s Kaczyński, is less surprising when one considers that “freedom” and “rights” meant different things to different people: liberals like Havel were fighting for political freedom and human rights; others for national freedom and national rights. Thus Orbán can transmute “freedom” into xenophobia and authoritarianism. Once in office, President Zeman adopted vigorously anti-western, anti-European, and pro-Russian language policies. In 2014, he condemned the western sanctions imposed on Russia for the annexation of Crimea and its war against Ukraine, a position echoed by former President . A series of public protests followed, but they had little impact on the president. When it comes to the challenge of Russia the EU is more confounded. Lacking any common security or foreign policy on Russia it falls, for better or worse, to the US to help deal with the problem. Since Russia’s invasion of Ukraine, the US has restated its commitment to supporting NATO and defending against Russian military aggression. But that does little for the postmodern warfare Russia now prefers. To undermine the EU, to erode the fabric of Western liberalism, and to make the EU descend into a chaos of infighting, Russia doesn’t need to invade, only to abet the already existing pathological developments in the EU through disseminating illiberal propaganda, deepening social distrust towards the democratic institutions, fostering extremist movements and parties, increasing dependence on Russian energy imports, and exacerbating high-level corruption. Therefore, especially corruption in Central Europe, which is often connected to Russia, needs to be understood as a vital security issue for the entire continent, not least because allegations of corruption, whether true or false, are so often used to discredit liberal democratic political parties. International economic institutions need to come up with better means of identifying and sanctioning lawbreakers, especially those who use offshore banking systems and other techniques that are difficult for smaller governments and poor bureaucracies to investigate. Joint Western engagement in energy security is crucial too. One of Orbán’s arguments is that the US abandoned him when he tried to develop liquefied natural gas terminals that would make Hungary more energy independent, forcing him to search for an accommodation with Russia. Action can’t come too soon. Kaczyński’s first foreign visit after Law and Justice came to power in October 2015 was to meet with Orbán, pledging mutual support against EU measures. In a nightmare scenario, illiberal states could gang together, encouraging similar trends throughout Europe. For the past 20 years the Visegrád Four have been an example for transition to democracy across the world. They could become the example for a transition away from it. First appeared in the Prospect magazine as "The new nationalism: Eastern Europe turns right"; the current revised version was published in Swedish in Glänta as "Välkommen till den illiberala demokratin". And the European Union shakes its finger at Turkey?